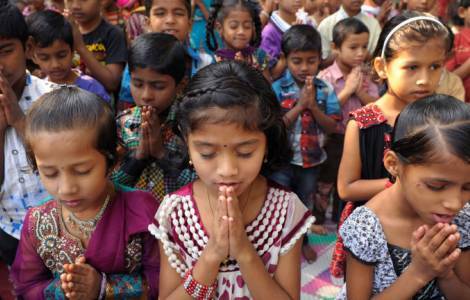 New Delhi (Agenzia Fides) - In January 2019 there were 29 incidents of violence against Indian Christians in 13 Indian states. Among the injured there are 26 women and 25 children. For none of these cases an official complaint was filed (First Information Report) by the police. The data communicated to Agenzia Fides by the volunteers of the "United Christian Forum Helpline", a telephone line activated in the country to listen to and record cases of violence, threats and intimidation of various kinds against Christian communities. "The data do not differ much from the trend of 2018, which saw an average of 20 incidents a month, almost a case of violence a day", says in an interview with Fides Tehmina Arora, human rights lawyer, activist and consultant of the NGO "Alliance Defending Freedom" (ADF India), which takes care of the organization of the service. Arora cites a recent episode: "A prayer meeting in a house in Kotra Tehsil, in the district of Udaipur, in the state of Rajasthan was interrupted by Hindu extremists who threw stones and shouted slogans against Christians, with false accusation of conversion. The police took no action or filed an official complaint against the guilty". According to the lawyer, "if the political forces do not stop encouraging people to take justice on their own, the culture of mass violence and impunity will become the norm". The tendency not to file complaints against the perpetrators of violence "demonstrates the tacit complicity between the perpetrators of violence and the police who obviously enjoy the patronage of local political leaders or officials", she notes. The state of Uttar Pradesh continues to hold the record for the highest number of incidents of violence against Christians. Out of 29 episodes reported in January 2019, nine come from Uttar Pradesh. The modus operandi followed in all nine cases is the same: a crowd accompanied by the police arrives at the place where a prayer meeting is held, and start shouting slogans and beating up the faithful, including women and children. Then the Pastors are arrested or detained by the police with false conversion charges. "Some forces that plan these acts, instigae hatred towards a particular community to create polarization", denounces A.C. Michael, Director of ADF India.